What can you do in a small town like Sac City, Iowa, with a population of about 2,000? How about making beer bread? That's what Molly Wilson did and ended up selling her bags of beer bread mix to people across the country. Molly tried a recipe for beer bread and thought it was so good that she made 100 packages of the dry ingredients and took them to a local craft show. She sold them all in the first hour. Beer bread is a specialty among people in Iowa, but Molly's recipe was especially tasty, even better than her grandmother's recipe. 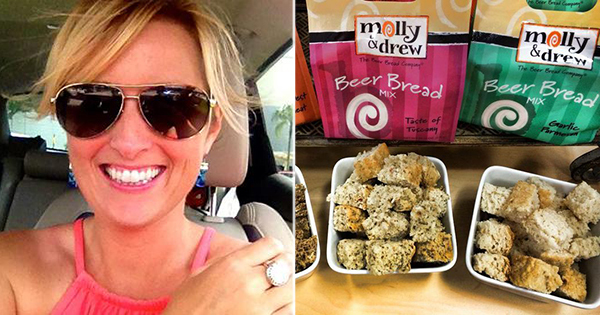 That was the beginning of her company, Molly & Drew (her dog) The Beer Bread Company. Soon she was selling her bread and cakes to small shops all around the country. Today, her customers include thousands of retailers in the U.S. and Canada, including mom-and-pop shops and big names like Nordstrom, Bed Bath & Beyond and Cracker Barrel. Molly's company has not only provided a tasty product for thousands, but it has created jobs for people in her small town of Sac City, Iowa. 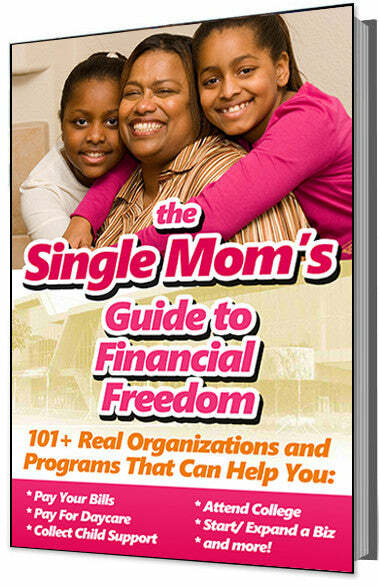 Wilson hires only local women to work at her production facility to help them achieve financial independence. She has also hired her children. Her daughter, Samantha, loves to add strawberry soda to American Original Beer Bread Mix while her son, Wilson, craves the BLT dip with crackers.